Light up your holidays during your stay in San Diego. 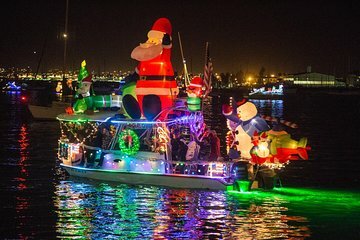 You and your loved ones cruise the San Diego Bay and get an up-close view of the magical Parade of Lights. Cozy up with a cup of hot cocoa as over 80 boats decorated with thousands of twinkling lights proceed past your seats on the exclusive Limo Boat.